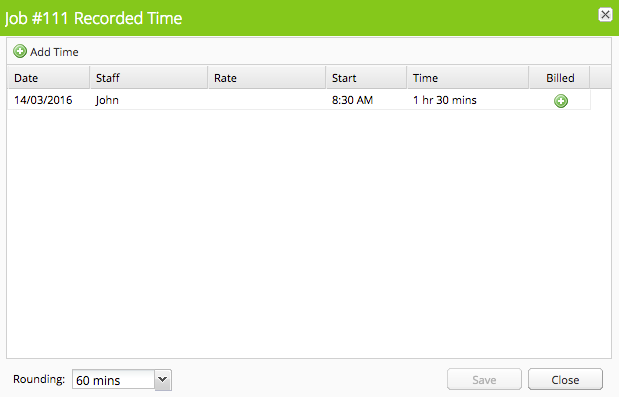 If staff forget to check in or out of a job, you can manually create and edit the check-in times from the job card. Only Business Owners have permission to edit check-in data. Click the Add Time icon. A new row will be created, and you can enter the details of the check-in. Click Save once you're done. 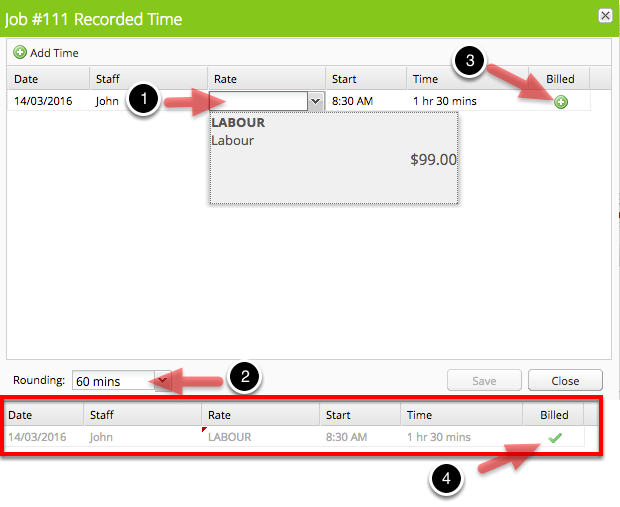 You can edit the Date, Staff Member, Start Time, Duration and Labor Rate by clicking in the appropriate field and changing the value. After you have made changes, click Save to save and close the window. If ServiceM8 does not allow you to make changes, the most likely cause is that you do not have permission to edit check-in data. Only Business Owners have permission to edit check-in data by default. 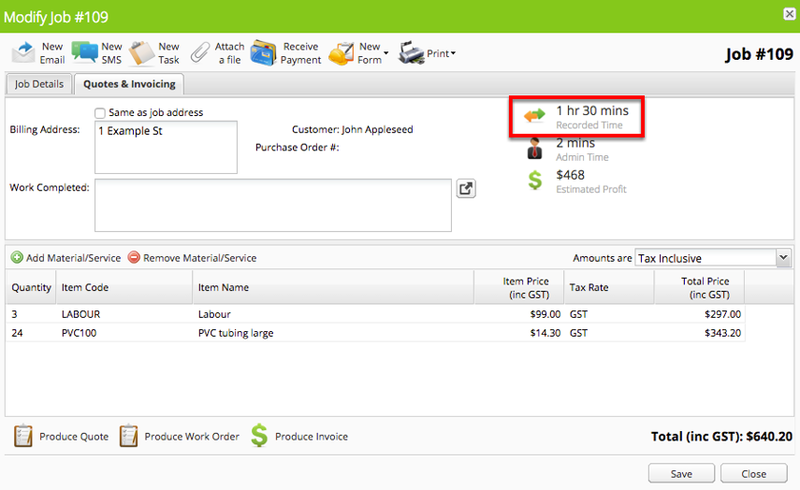 As an alternative to using the Smart Labor feature in the mobile app, you can convert check-in data to invoice line items using the check-in editor. 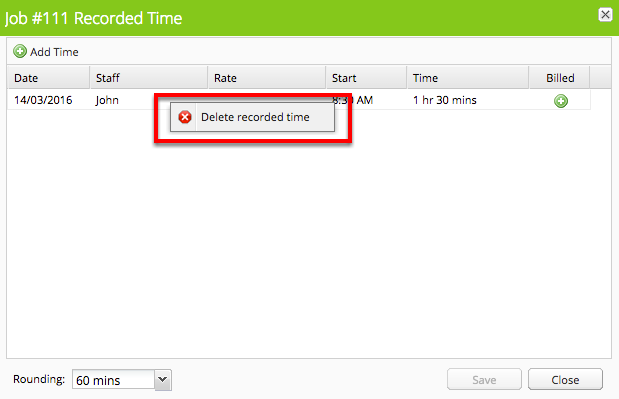 To delete a check-in, first right click on the row, then select Delete Recorded Time. Can check-in/out data be edited?